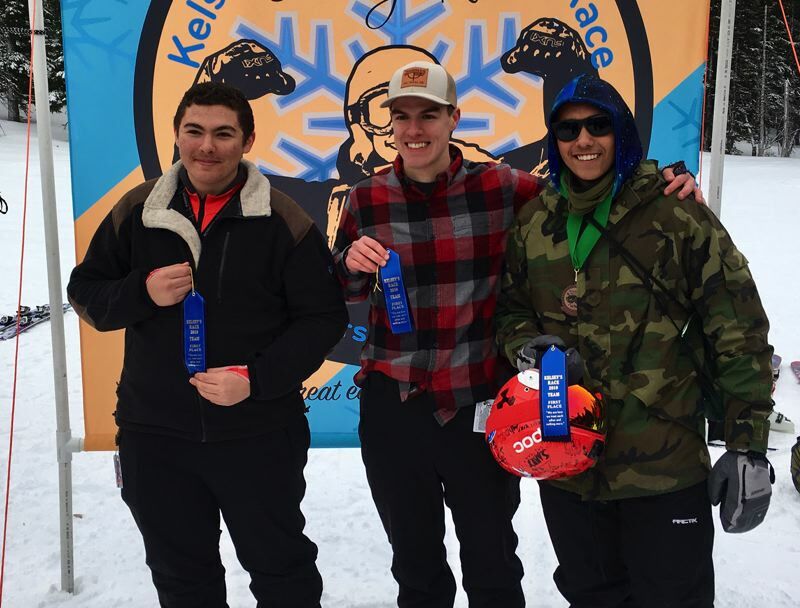 The Sandy boys ski team finished the giant slalom course in a combined time of 2 minutes, 12.62 seconds to edge Lincoln by 0.32 hundredths to win Saturday's Kelsey Memorial race at Mt. Hood Meadows. London Madrid finished third overall with a two-run total of 42.81 seconds, while Hugh Shanno out of Oregon Episcopal won the race in 41.67. Sandy's Sean Steffey and Alex Rogers also finished among the top 15 with Steffey beating his Lincoln counterpart on both runs to secure the team victory. "I am very impressed with the work ethic and early-season results," Sandy coach Josh Kanable said. "With such a young team, our preseason conditioning is already paying off." The Sandy girls came in 11th in the team race, led by Molly Izer in 18th overall with a time of 47.19.